What Is Cyber Security and Why Does it Matter? 1. What would you like more information about? What Is Cyber Security, and Why Does It Matter? Online Degrees | Master's | Cyber Security | What Is Cyber Security? Thanks to the accelerating rate of technological advancement, our world is becoming more interconnected every day. This rapid rate of progression leaves many people asking themselves, “what is cyber security?” and what role does it play in the average business? Well, businesses must transmit large volumes of data to facilitate online communications. With that in mind, cyber security was created as a specialized discipline focused on ensuring that the information being transmitted could effectively be kept secure. However, the threats that face online communications are constantly evolving. Because of this, the study and application of cyber security has quickly made its way to the forefront of public, professional, and academic interest. Before we can explore the more nuanced aspects of cyber security, we must have a clear definition of the term. So what is “cyber security” exactly? Cyber security, generally speaking, refers to the methods, efforts, and tools used to protect digital data, networks, and devices from unauthorized access, criminal attacks or even damage. Put another way, cyber security refers to the safeguards and processes applied to the securing not of physical or personal assets but of digital ones. This could include proprietary processes, access-only systems, personal information, and information vital to the operations of an entity or company, including future plans, designs, research results, or any other type of information. Highly publicized breaches of supposedly secure systems, even those maintained by elite companies, cast fear into the general population that their personal information could be exposed. This makes cyber security an increasingly prevalent topic, as leaders in the field must constantly collaborate to generate new strategies that can effectively overcome the latest cyber threats. The relevance and commonality of identity theft is increasing, and banks, government entities, credit providers, and insurance companies are scrambling to find ways to stem the tide of this malicious and costly form of digital robbery. The large concerns listed below, among others, provide propulsion for the field of cyber security. Privacy: Organizations must recognize that both their data and their customers’ data are at risk. In a recent article, the Electronic Frontier Foundation revealed some of the different ways hackers could maliciously use private digital information of many sorts — ranging from sensitive information concerning a company or organization to the personal details, web history, and other private data of individual consumers. In acknowledgement of this threat, any organization that stores data must properly secure their data network, or else they may be placing their interests and their customers’ interests at risk. Data-centric economy: Now more than ever before, data is being stored in massive quantities. Computing conglomerate Intel estimates that by 2020, our world will rely on an “internet of things” that consists of 200 billion interconnected “smart” devices. As each of these devices will be capable of storing/communicating data, the total amount of valuable data being hosted online will almost certainly rise. This will create an even greater demand for cyber security professionals who understand how to adapt to new forms of cyber attacks. Individual risk: Cyber security threats affect countless individuals every year. Breaches can harm individuals by giving criminals an outlet to steal assets or access private data. More concerningly, online data is not the full extent of the things that could be compromised through a digital attack. In fact, Forbes provides a plethora of examples of items that have been notably hacked in the recent past — including cars, home alarm systems, and banking apps as well as infrastructural necessities, including traffic systems, dams, power grids, and more. Global risk: Cyber security threats could affect an entire country, economy, or global infrastructure. In December 2015, unidentified hackers waged a massive attack against Turkish top-level domains, effectively shutting down access to any websites using the .tr country code suffix. This exposed the world to a new reality, wherein a successful attack on an entire country’s internet infrastructure is actually feasible This proves that cyber security is not only a necessity to protect the privacy of consumers, but it is also necessary to guarantee the safety and impenetrability of government networks and infrastructural elements. What Should Cyber Security Look Like? Cyber security must make leaps and bounds to keep up with blossoming technological applications and increasingly comprehensive data sharing. Here are a few of the biggest keys experts believe will help cyber security efforts over the coming year. Resilience: Organizations should evaluate their digital risk and build resilience to prepare for future attacks. PricewaterhouseCoopers (PwC), an authoritative professional services firm based in London, England, cautioned in its 2018 “Global State of Information Security® Survey” (GSISS) that developing resilience and planning now will be crucial to entities of all shapes and sizes as cyber attacks become an ever-increasing threat. Strategy: Start small and completely secure rather than performing haphazard security on a larger data set. DigitalGuardian.com stresses the importance of concentrating a company or entity’s cyber security efforts first on its most sensitive information, starting as small as necessary to adequately secure that data set before moving out to larger or peripheral volumes of data. Especially during the process of first addressing cyber security, trying to secure a larger “perimeter” than an entity can effectively manage could compromise its efforts. Leadership: Cyber security initiatives must be led from the top down. The push to better secure a company’s data cannot be effectively accomplished if the source is not derived from the C-suite. According to the PwC’s 2018 GSISS, “Only 44 percent of GSISS respondents say their corporate boards actively participate in their companies’ overall security strategy.” Cyber security must be an organizational value and should be not just tolerated, but championed, by the executives who can allocate the effort, attention, and resources needed to make it a success. If you believe in cyber security but have yet to bring the executives or leadership of your organization on board, their backing is the most strategic resource you can secure. Learning: Cyber security advancement requires agile development. Cyber security should be driven by a mutual respect between authorities in the industry and a willingness to help advance the field for the betterment of all. Cyber security is a very serious issue. One successful hack could harm countless people and cause unprecedented tragedy. It is our responsibility as an interconnected global community to continue to invest time and energy into protecting ourselves from cyber threats. So what is cyber security? It is a vital process that protects people and organizations from criminals who wish to manipulate the private information of others to serve their own, likely malevolent, interests. 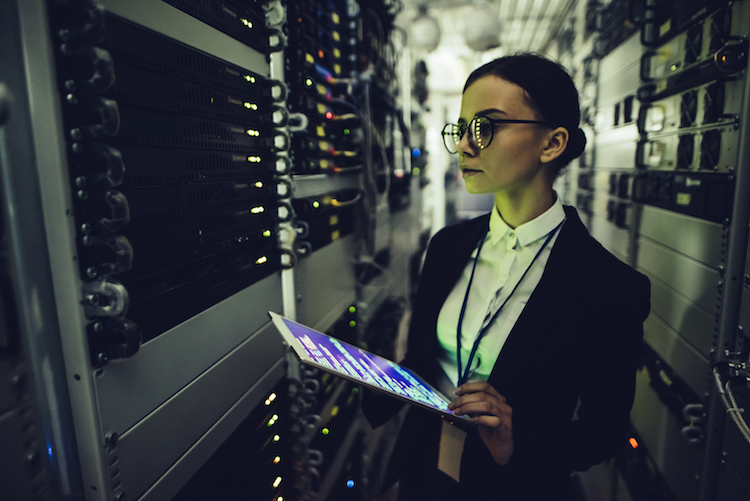 It is becoming continuously more vital in today’s interconnected and increasingly vulnerable global landscape and requires that organizations remain agile and diligent. Establishing cyber security deserves effort, priority, and cooperation to achieve a higher level of safety and a plan for how to react and recover when attacks do succeed. Cyber security has never before been more important, and now is the time for you to get invested in its development and implementation. If you’re interested in pursuing a cyber security career, a master’s program can equip you with the skills you’ll need. Learn more about Maryville’s online Master’s in Cyber Security program. For more additional information about cyber security master’s programs, take a look at this overview of a typical cyber security curriculum.